Aluminium windows are often specified in a project because of their strength, slim-lines and design possibilities. 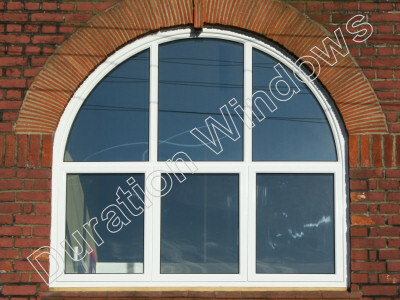 We can manufacture a wide variety of curved / arched windows here at our factories from our tried and trusted aluminium systems. Aluminium doors are often specified in a project because of their strength, slim-lines and design possibilities. 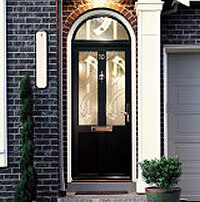 Many victorian and period properties have doors which feature a curved top lite. We can manufacture curved top lites for doors our factories from our tried and trusted aluminium systems. 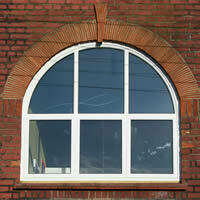 Our aluminium Steel Replacement Window range can produce beautiful curved windows. 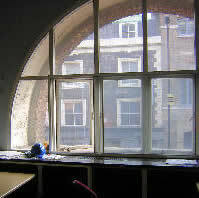 The tightest diameter we can achieve on these windows with our bending machines is 600mm which makes for a very skinny arched window. 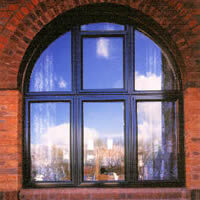 Our aluminium secondary glazing is just one of the products that can benefit from our arched frames. Installed in addition to your existing windows, often installed within listed properties and properties in conservation areas, secondary glazing reduces noise, draughts and heating bills.